The rooms offered by Hotel Sigma have been designed and decorated in a very minimalist manner. The hotels are located on the Bukhara Road in Howrah. The colour code of the rooms is monochromatic which creates a pleasant ambience. The rooms are very spacious and are well-furnished. The entire room is decorated in a very minimalist manner. A lot of woodwork is used throughout the room. The additional features provided by the hotel are free Wi-Fi, an uninterrupted power backup source, CCTV cameras and card payment in all forms. The front desk service is surrounded by a well-furnished reception and is handled by helpful and experienced staff. 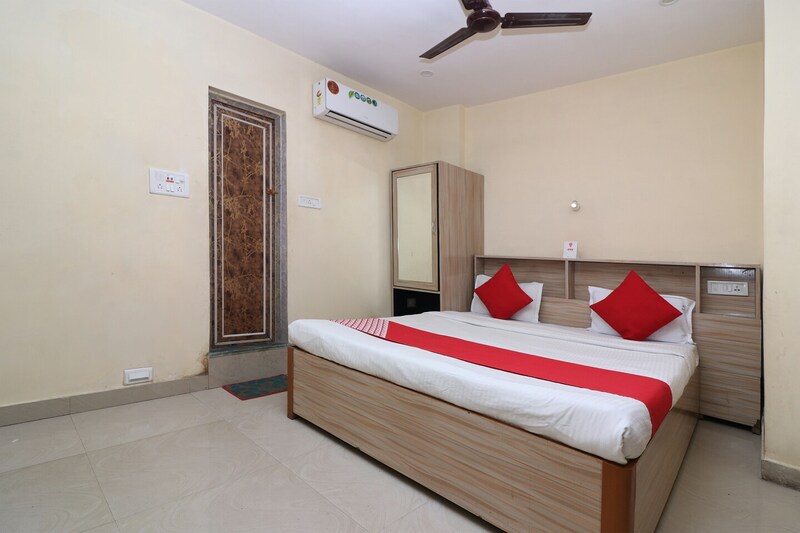 The hotel is surrounded by a number of utilities like Betore Bus Stop, Padmapukar Railway Station, Mainland China, Machaan, Mother Dairy Milk Booth, and Mother Dairy Milk Booth.